This class is for everyone interested in singing. If you’re inexperienced, even afraid to sing, or think that you can’t sing, you’ll discover that if you can speak, you can sing. If you’re an accomplished singer looking for new information or skills or just the simple joy of singing, this is the class. Almost all of our time will be focused on singing a great variety of songs, but also covered will be basic information about the voice, as well as how to develop, maintain and care for this most wonderful of instruments. Don is quite literally a natural-born singer. He began his career as a performer at the age of three, when he sang at a community concert, in the now-gone village of Ensign in Southern Alberta. Don was proudly accompanied by his father on the banjo. Over the years the two of them performed together at many such concerts. At the age of 10, Don was introduced by his Dad to Calgarian Marilyn Perkins, who happened to be teaching night school classes in Don’s area. Don’s Dad was a student in her class, and told Marilyn that his son could sing as well. When she heard Don sing, she said “You must come to Calgary!” So come he did … and for the next nine years Don performed in operas and musical theatre in Calgary. In the early 70’s, Don damaged his voice, and many thought he would never be able to sing again. His vocal coach of the day advised him to work harder, which only increased the damage. Eventually Don studied under Ken Neilson, in what became for him an apprenticeship of how to teach voice. 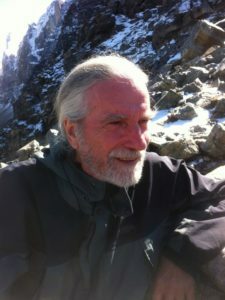 Don received Bachelor of Music and Bachelor of Education degrees from the University of Calgary. Don became one of the premiere vocal coaches in Calgary, much in demand by the famous and unknown alike. Don is also an active member of the Canadian Voice Care Foundation. Their mission is to provide care for people who use their voices professionally. If you’re a folk-festival type, you may recognize Don from either the Calgary or Canmore festivals, where he’s a familiar face and voice as emcee and volunteer. Don likes to stay somewhat under the radar, preferring to sing with other people rather than for them, although he has done a tremendous amount of performing on his own. He discovered his professional passion … to teach people how to freely and joyfully sing … almost 30 years ago. It was such a profound experience for him that he obtained a copyright for the phrase “Singing For the Joy of It,” which is also the name of a class he taught through Chinook Learning Services. It’s evident in his student’s dedication that Don has a strong impact … many of these students have returned for several years to his classes, simply for the opportunity to work with such a talented man.